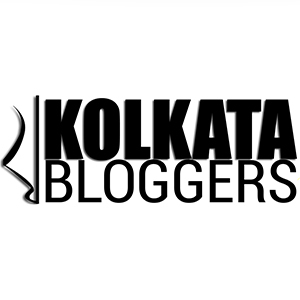 April 14, 2019 April 14, 2019 Categories Festival, List6BP thali, bangali food, bengali food, bengali new year, foodiedada, jw marriott, kolkata blogger, List, nabobarsho menu, oh calcutta, poila baishakh, poila baishakh menu, raajkutir, sonartori, top 10 places, top 10 places kolkata, westin kolkata, yauatcha kolkata2 Comments on Top 10 places serving Poila Baishakh menu that you must try! Generally, on Poila Baishakh (first day of Bengali New Year), I love getting into a food coma by indulging myself with a plethora of traditional Bengali food items. But in general, these days people are always excited about the English New Year and that New Year’s Eve party but when it comes to Bengali New Year, half of the crowd won’t be even able to tell you which Bengali year is this (btw it’s Bengali new year 1426 knocking at the door)! If you wanna go for a long drive this Poila Baishakh then Raichak on Ganges should be your destination! Their restaurant ‘Sonar Tori’ is all set with their scrumptious Nabo barsho offerings! It’s the most flavourful way to usher in the New Year at Sonar Tori, Raichak on Ganges amidst the nature by the pristine river! From this special menu surely try Kacha Lonka diye Murgi, Loitta Jhuri Singara, Narkel diye Chhola-r dal, Bhetki Paturi, Murgi-r Cutlet, Aam Aada Tetul Posto-r Chutney, etc! This time I found out a newly opened gem called ‘Chilekotha’ in south Kolkata (Dover Lane)! The place is serving some damn good Bengali food and the ambiance is remarkably pleasant. Besides the wooden furniture, they have got the Kori Borga ceilings of the old Kolkata, those antique window panes, chandeliers, curtains made of khus khus and more such nostalgic Bengali elements! To celebrate the Noboborsho, they have also introduced 3 thalis — Baishakhi Sabji-r Bahar, Baishakhi Aharer Thali, and Baishakhi Bahari Bhoj. Westin (Kolkata) is ready with their delicacies from ‘Epar Bangla and Opar Bangla’ — the best of both Bengals! Chef Debayan, in house chef at the property is curating a lavish Bengali spread with some delectable offerings like ‘Tel koi,’ ‘Dub chingri’, ‘Sorse bhetki,’ ‘Murgir jol,’ ‘Kosha mangso,’ ‘Kakra jhol,’ ‘Haser dimer dalna,’ ‘Echor bhapa,’ ‘Mocha ghonto bora diye’ Chorchori’ ‘Dakbunglow Mutton’ ‘Kochi pathar Jhol’ ‘Potoler Dalna’ ‘Chitol Macher Muithya’ ‘ Chaanar Paturi’, ‘ Kolkata Chicken Biryani’ ‘Kolkata Mutton Biryani’ and many more. This festive buffet is having an extensive sea food and Bengali live grill counter with assortments of fish of your choice like ‘Hilsa’, ‘Chingri’ ‘Rui’, ‘Parshe’, ‘Pabda’, ‘Tela Pia’, ‘Bhola’, ‘Galda’, etc. The pocket pinch will be INR 1499 plus taxes! A couple of months back ibis Hotel has opened its first property in Kolkata at Rajarhat and their multicuisine restaurant ‘Spice it’ has already impressed me a lot witch its sheer good quality of food and authenticity. For Bengali New Year they have introduced a special menu called Boisakhi Aahar, from 15th – 21st April 2019. And this is basically a Buffet meal so you can have Bengali food to your heart’s content here at Ibis. On the menu you will get iconic Bengali dishes like kosha mangsho, chingri malaikari, basanti pulao, shukto, dhokar dalna,mochar ghonto, murighonto, macher kalia, etc. There is something in store for everyone. There will also be live counters serving Calcutta classics like machher paturi, rolls and phuchka. Knowing the sweet tooth that every Bengali possesses, there will also be an arrangement of some decadent Bengali desserts on the menu like payesh, kesari rasmalai, malai sandesh, mishit doi to name a few. Here the pocket pinch is: Rs 999 plus taxes per head. I somehow love 6 Ballygunge Place (BP) Thali more than 6 BP itself! Maybe because I like the majestic presentation of thali or abundance of food presented so beautifully without burning a hole in my pocket. And this time I felt their Bengali New Year offering is simply irresistible. Few highlights of these Thalis are Kacha Aam Pudinar Shorbot, Kadaishutir Kochuri, Enchorer Kalia, Fish Fry, Dhokar Dalna, Doi Murgi, Mutton Dakbunglow, Bhuna Chingri, Bhapa Ilish, etc. Raajkutir, Kolkata has curated a Chef special menu for Poila Baishakh at East India Room with the Colonial Table. They are recreating the colonial cuisine, so it’s time to savour the forgotten delicacies which are meticulously curated from the cookbooks of royal family of zamindar’s at the East India Room. Poila Boisakh’s ‘The Colonial Table’ is sure to be a royal feast at East India Room, comprising of interactive appetizers from the chef’s station followed by a delectable meal which would be served by their maître de hotel and, last but not the least, the dessert assiette trolley which will be rolled down to choose your favorites from! In this menu, you can choose from the delicate ‘Tiffin Box Bhappa Chingri’ to the flavoursome ‘Chittagonger Murgi’ and the wholesome ‘Colonial Mutton Dak Bungalow’ to ‘Nashipur Palacer Kolaiaer Dal’. The vegetarian fare is envious with ‘Tostori Mocha’, ‘Phulkopi Roast’, ‘Dhakai Pulao’ and more. The Colonial Table will be available from 13th – 15th April 2019 over lunch and dinner at East India Room, Raajkutir. Pocket pinch is INR 999 + taxes per person. So, here comes the surprise element in my list this time! An age-old Awadhi food joint has churned out amazing Thalis this time to celebrate the Bengali New year in some style. And I would say the Thalis are not run off the mill Bengali thalis, they have got a bit twist and a touch or two of Awadhi (and Mughlai) cuisine. They have basically introduced three special Thalis available during the Bengali New Year – Nobabi Thali, Naushiizaan Thali, and Subz Thali. I have personally tried the Nobabi Thali and I liked almost every bit of it, it has got a huge spectrum of flavors and aroma starting from the subtle Shahi Mixed Veg to the lip smacking Chicken Dumpukht. Also I quite liked the Dal Palak, Fish Maharani (Rohu fish), Fish Paturi TIkka, Tandoori Egg TIkka and Gondhoraj Murg Tukde. Surely if you like twists in the tale, go try these thalis here at Naushiizaan. The veg thali is priced at INR 799 AI and non-veg at INR 899 AI, this will be available till 20th April. At Bhoomi and Yagna, Vedic Village is celebrating the Bengali New Year with loads of lip-smacking Bengali delicacies in the lap of nature and gallons of pollution-free air! Now they have got various varieties of this Bengali feast, there is a Poila Baishakh Brunch, a Poila Baishakh thali at Bhoomi, and a Poila Baishakh buffet spread as well. The brunch is priced at INR 1250 plus taxes and has got some highlights like Murg Kasuri Methi TIkka, Shorshe wali machhi, keema paratha, phuchka, Tangra style Chinese food, loads of Live counters, etc. At Bhomi you will get both Poila Baishakh veg and non-veg Thalis. And they start off with Bel-er Shorbot or Daab-er shorbot, how beautiful is that? The veg thali is priced at INR 1199 plus taxes, non-veg thali comes at INR 1499 plus taxes. Surely try the add-ons like Lau patar bhetki paturi, Golda chingri and Kosha mangsho. And lastly the Poila Baishakh buffet comes in, it’s priced at INR 1199 including taxes. This buffet has got some amazing baata and bhorta items, so do try those. Oh! Calcutta started back in 2002 by Speciality Restaurants and it serves traditional Bengali cuisine in a classy, fine-dining environment! They have introduced a Poila Baishakh special buffet available on 14th and 15th April. You can enjoy this buffet spread at their Forum Mall (Elgin) outlet. Since it’s a buffet, there is no confusion about various thalis and I think the spread is quite well packed with traditional Bengali delicacies. And the spread is priced at INR 995 plus taxes. According to me, few highlights from this buffet menu are: Gondhoraj Salad, Aloo Kabli, Enchorer Cutlet, Palong Saak-er chorchori, Rajbarir chhanar kofta, Chitol machh-er muithya, Murgir rezala, Parshey shorshe bata, Chingri Malaikari, Gurer Payesh, Malpua, etc. JW Marriott has got a lot to offer during this Bengali New Year. You can celebrate ‘Poila Baisakh’ in true bangaliana style with a specially curated buffet and an enthralling weekend stay package at JW Marriott Kolkata. The Poila Boishakh buffet is on 15th April over lunch and Dinner. For lunch, the buffet is priced at 1699 plus taxes inclusive of soft beverages, and INR 1999 plus taxes inclusive of alcohol. For Dinner, the buffet is priced at INR 1675 plus taxes with soft beverages, and INR 1999 plus taxes inclusive of alcohol. The buffet highlights are: some signature dishes like ‘Mochar Chop’, ‘Fish Fry’, ‘Cholar Daal and Luchi’, ‘Shukto’ ‘Bhaja MoongDal’ ‘Kolkata Style Mutton Biryani’, ‘Kosha Murgir Mangsho and Pulao’, ‘Pabda Macher Sorshe’, ‘Bhapa Maach’, ‘Golda Chingrir Cocktail’. You can end your meal with all time favorite Bengali desserts like ‘Sita Bhog’, ‘Patishapta’ ‘Kamala Bhog’, ‘Sandesh’, ‘Mihidana’ and much more. JW Marriott (Kolkata) has also some amazing plans for your Poila Baisakh weekend. You can avail their ‘100% Weekend Fun’ with exciting discounts on spa, food and soft beverages and 50% discount on room rates!! Some mishti paan to end your meal! Also apart from this Top 10 list, here are few bonus places worth a mention according to me, where they have curated a lovely Bengali New Year menu – Yauatcha (Quest Mall), Kasturi, The Kitchen (Laketown), Ekdalia Rd, and Bongnese. You can surely try them out as well! Have an amazing Poila Baishakh meal and Subho Nabo Barsho to all my readers! Previous Post The Lords and Barons – a touch of Royal pub dining in Kolkata! Next Post General perception about catering and my experience with La Fiesta! It all looks incredibly tempting!